Plus, Christian Benteke to be anytime goalscorer against Man City. TOTTENHAM RESPONDED TO Chelsea’s defeat of Everton last week in admirable fashion, convincingly beating Arsenal 2-0 later on Sunday. Yet Friday’s game is arguably a bigger test of Tottenham in many ways. At home Spurs have been superb, winning 14 and drawing two of their 16 matches. On their travels, however, they have been less convincing, winning seven, drawing six and losing three. Overall, no side in the top six has picked up fewer victories on the road. Tottenham’s bid for glory suffered a big blow last year, as they were beaten 1-0 by West Ham at Upton Park amid the end-of-the-season run-in. This week, the Hammers could all but end Spurs’ title ambitions by denying them victory. However, Mauricio Pochettino’s men look a better side mentally this year, while West Ham have struggled to recapture their form from the 2015-16 campaign. Spurs will consequently go into the game as overwhelming favourites, and Harry Kane could well add to the 27 goals he has already scored in all competitions since the start of the season. Man City take on Crystal Palace in Saturday’s early game, with Pep Guardiola in need of a win to improve his team’s top-four chances. The Etihad outfit sit just one point above neighbours United, who are fiftth, and therefore can scarcely afford any slip-ups in their final four games of the season. Palace probably need one more win to be absolutely certain of Premier League survival, as they currently sit on 38 points, so there is unlikely to be any let up in their intensity this weekend. One man who has certainly made an impact for the club this season is Christian Benteke, who has managed 19 goals in all competitions since the start of the campaign, including two in their recent surprise win over Liverpool. Man City have’t been particularly good at the back this season, conceding 37 times — 15 more goals than Spurs have surrendered — so don’t be surprised if the Belgian international causes them some problems tomorrow. Middlesbrough may have done extremely well to earn a point at Man City last week, but they still look doomed to relegation, as they sit six points from safety with three games to play. Indeed, if Boro lose and Hull avoid defeat against Sunderland on Saturday, then their drop to the Championship will be confirmed. Steve Agnew’s side’s task could hardly be much tougher, as they travel to face a Chelsea side that have won 14 out of 16 league games at Stamford Bridge this season, with the Blues keen to wrap up the Premier League title race as swiftly as possible. Despite all their obvious problems, Middlesbrough’s defensive record isn’t actually too bad. They have a better record at the back than any team in the bottom half, while third-place Liverpool have only conceded three fewer goals than the relegation strugglers. So while Chelsea are widely expected to win on Monday, don’t expect their opponents to give up goals easily — and with all this in mind, a 2-0 victory for the Blues seems an attractive bet. Jose Mourinho has openly admitted that the Europa League is now Man United’s priority, as it appears their best chance to secure a top-four spot. The Red Devils boss also hinted his side may field a weakened team this weekend, given their recent hectic schedule. Arsenal’s form of late hasn’t been particularly good, though they remain a tough side to beat at the Emirates. 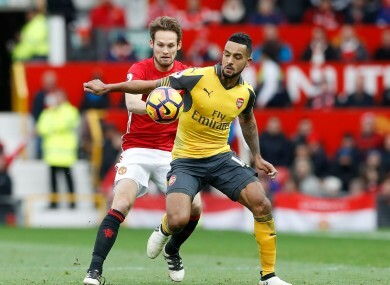 In 16 matches at home this season, the Gunners have lost just twice, while their FA Cup semi-final win over Man City suggests they are still capable of pulling off a big performance on occasion, and they could well capitalise against a United team that will be either tired or under-strength following their exploits against Celta Vigo on Thursday. Despite some impressive performances this season, Liverpool remain a very unreliable side. In addition to beating Tottenham, Chelsea, Man City and Arsenal, they have dropped points against Bournemouth, Swansea, Hull and most recently Crystal Palace. Jurgen Klopp’s men invariably find it difficult to break down teams who put numbers behind the ball. Southampton are likely to do just that on Sunday, so Liverpool may well ultimately join United on double figures in terms of the number of games they’ve drawn this season. Email “Arsenal to beat Man United and more Premier League bets to consider this weekend”. Feedback on “Arsenal to beat Man United and more Premier League bets to consider this weekend”.